The Supreme Court in Waigani has dismissed an application by Joseph Kobol asking it to review a decision of the National Court in June, which had dismissed his election petition. Mr Kobol had challenged the win of William Powi as elected Governor for Southern Highlands following the 2017 National Elections. The National Court had dismissed the petition, after Mr Powi had objected that Mr Kobol did not correctly specify the relief he's claimed to be entitled to. Mr Kobol then went to the Supreme Court, asking it to review the lower court's decision, however, Justice Derek Hartshorn ruled otherwise, dismissing his application this afternoon. Mr Kobol's proposed ground of review is that the primary judge made an error in failing to provide sufficient reasons for his decision to dismiss the petition. He contends that leave should be granted as there are important points of law that needs to be determined. Mr Kobol argued that the National Court was not guided by the substantial merits and good conscience of the case and the primary judge made an error in his consideration of Section 208(b) and Section 212 of the Organic Law on National and Local Level Government Elections, in striking out his petition. However, Justice Hartshorn was not satisfied that the applicant had demonstrated that he has a serious issue on a point of law or fact to be determined, and dismissed his application for leave to review. The high court's ruling effectively confirms Mr Powi as the governor-elect of Southern Highlands Province. Electoral Commissioner, Patilias Gamato, has congratulated the Supreme Court for its decision dismissing the appeal by Joseph Kobol. 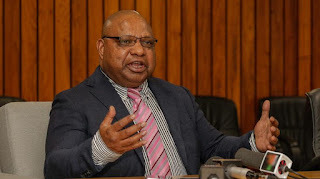 In a statement this afternoon, Mr Gamato said he made the decision to declare William Powi under special circumstances, based on provisions of the Organic Law on Elections, and the court had upheld his decision. He's calling on the people of Southern Highlands to respect the decision of the court and constitutional processes under the Organic Law on Elections which the Electoral Commission administers.